Happy Wednesday! I realize I haven’t done as many outfit blog posts as of late so I thought I’d do a quick catch up of some looks from February. I got these amazing vintage Levi’s at Buffalo Exchange last week and I can’t take them off lately. What an amazing find! The boots I am wearing are old Prada, possibly 90s. I got them on eBay three years ago but I haven’t worn them much until now. They feel very of the moment and I am very glad that I got them. The coat is from StyleNanda (out of production now, so sorry) and this bag is by Imago-A. Those of you who watched my IGtv episode will recognize this outfit! This skirt is by Molly Goddard (very similar by Stella McCartney on sale now) and I can’t believe I haven’t yet worn it with this 60’s overcoat I have had forever. The turtleneck is Mango and the shoes are Aquazzura I got on Yoox last year. 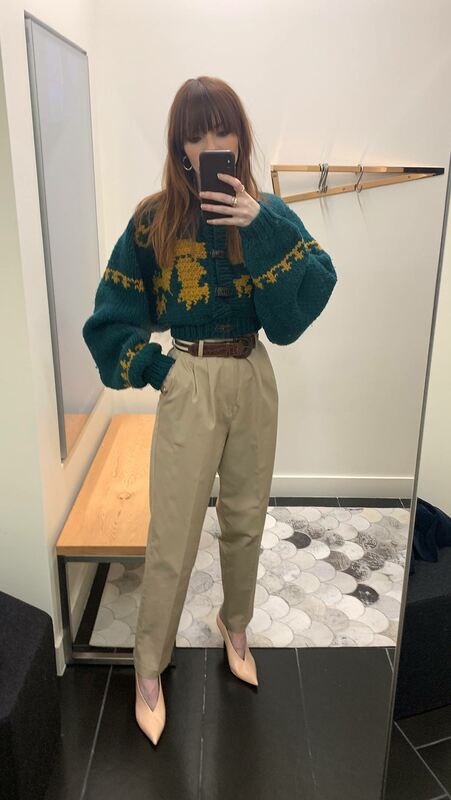 My favorite chunky vintage sweater with some pleated khaki pants I found eBay for 3 bucks and Celine pumps. 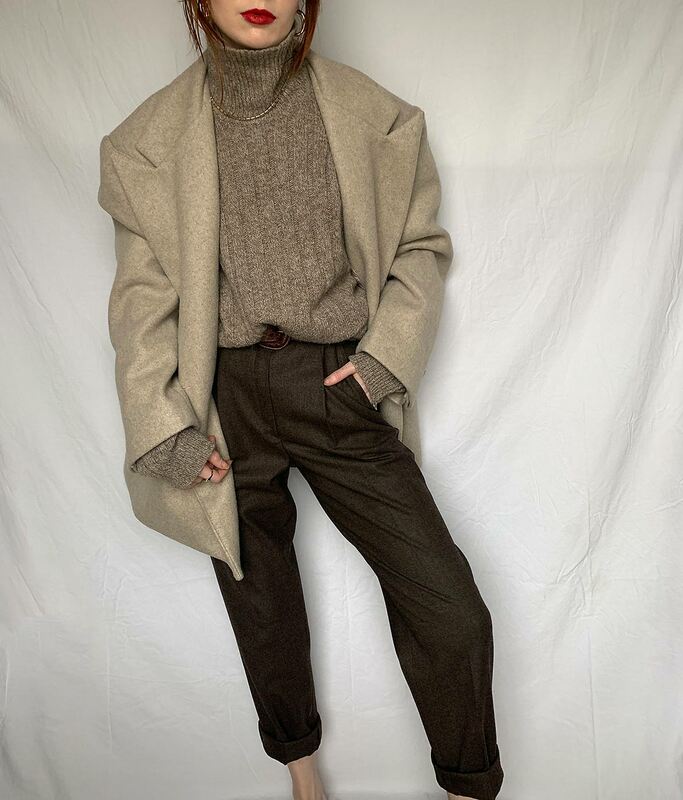 Here is that Stylenanda coat again with a oatmeal men’s turtleneck and 90’s Escada wool trousers. Wearing my beloved Mara Hoffman coat with cropped vintage flares, my Imago-A bag (a gift from the brand, thank you!) and my Prada boots (similar here). 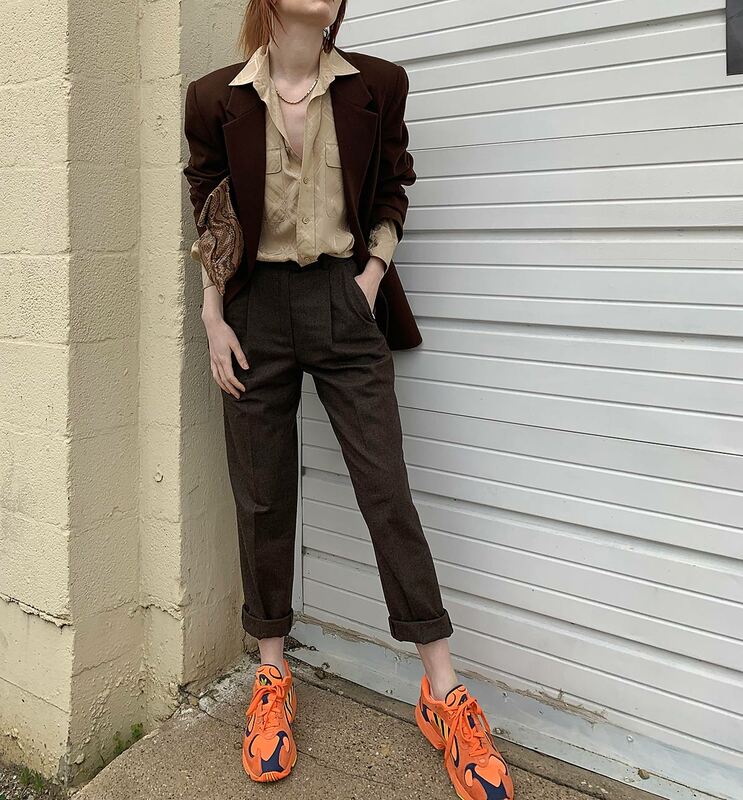 I found this blazer and Ralph Lauren blouse thrifting on Monday. Worn with my Escada trousers and Adidas Yung sneakers. 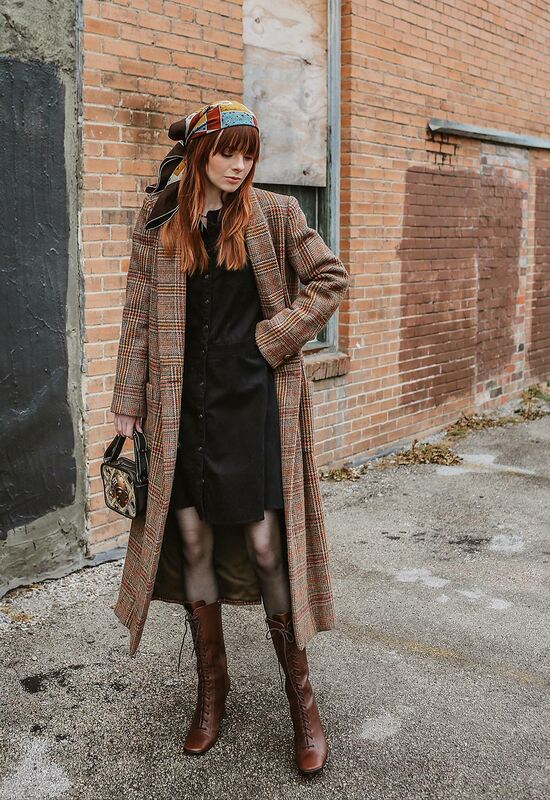 Here I am wearing a thrifted 70s Bill Blass coat (very similar on ASOS here) with a thrifted dress and scarf, Prada boots, and Wunderkind bag. I hope this makes up for the lack of outfit posts lately! Enjoy the rest of your week. All the looks are super cool! So much to love! Was worth the wait!! beautiful outfits, you have a great sense of style. So much elegance yet simple and fashionable. 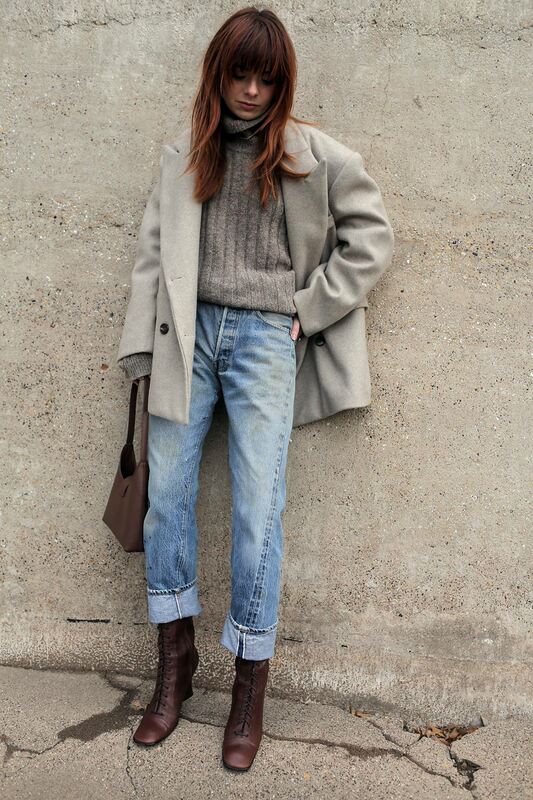 I never get tired with the way you style every pieces altogether.